Is Twin Peaks a real place? The lodging town full of weird people and happenings is the fictional setting for the iconic 1990s TV show and its 2017 Showtime revival. While Twin Peaks, Washington, doesn’t actually exist, the show was largely filmed in the one-time timber town of North Bend (northbendwa.gov), a mere 30 miles east of Seattle. One of the most iconic Twin Peaks sites sits under a giant neon sign in downtown North Bend: Twede’s Cafe (137 W North Bend Way; twedescafe.com). Known as the Double R Diner, the eatery dishes up slices of cherry pie and cups of black coffee that the main characters praise on-screen. A few miles west, 270-foot-tall Snoqualmie Falls (snoqualmiefalls.com) thunders below the Salish Lodge (*6501 Railroad Ave SE; salishlodge.com). The waterfall features prominently in the opening credits, while the hotel is known as The Great Northern Hotel on the show. 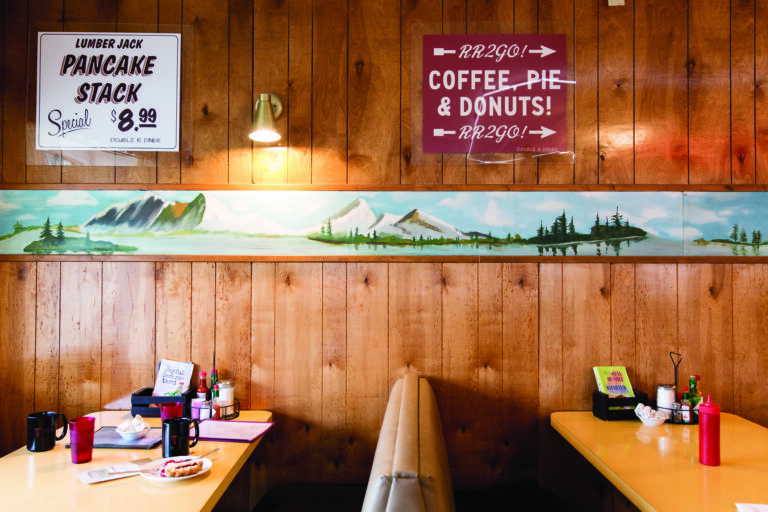 Salish’s real-life gift shop sells Twin Peaks–themed souvenirs, and its spa offers cherry pie treatments. To see other spots from the series like Packard Sawmill and the sheriff’s office, join a guided trip from Twin Peaks Tour (*twinpeakstour.com). The four-hour tour travels to 2 filming locales, with pick-up and drop-off to downtown Seattle hotels. Towering above it all is Mount Si (wta.org), one of the “peaks” of the show. The eight-mile hike up is the most popular in the state. Try it at sunset for a view that’s beautiful and moody, just like Twin Peaks.